Let Me Get By is the third studio album from Tedeschi Trucks Band, featuring ten new, original songs that stand together as a testament to the spirit and commitment of the tightly-knit 12-member ensemble. Driven by Susan's soaring, spiritually charged vocals and Derek's masterfully lyrical slide-guitar, the band's musical talents are on display in full force. From 'Anyhow' - a declaration of devotion highlighting the album's theme of breaking away - to the funky and uplifting title track, Let Me Get By delivers a sonic journey filled with the barnstorming energy, soulful vibes and roots-based rock that no band delivers better. 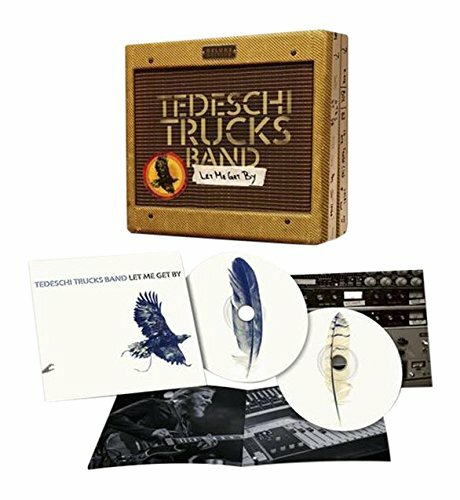 Deluxe version includes 8-track bonus disc that features live recordings from the legendary Beacon Theatre in New York as well as alternate mixes, early song takes and additional studio material, an expanded booklet with exclusive studio and live photos, and a custom-designed vintage amp box.